The Castle Aargh! 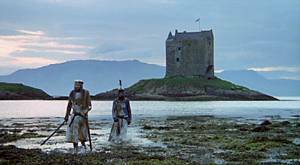 at the end of the Monty Python and the Holy Grail was Castle Stalker in Argyll. 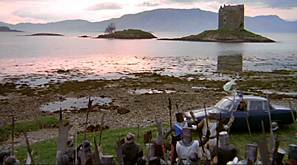 The scenes of King Arthur's army which appear in the movie to be opposite the castle were actually filmed on the other side of Scotland near Bridge of Allan close to Stirling. Enjoy the real success with http://www.actualtests.com/onlinetest/TOEFL.htm and http://www.actualtests.com/certs/CCENT-training-certification.htm online training programs and latest http://www.actualtests.com/exam-646-365.htm. Also prepare for next level with quality of http://www.actualtests.com/exam-650-378.htm and http://www.actualtests.com/certs/CCNA-Voice-training-certification.htm.